Features: Please watch video inside the posting! Condition: New In Compact Carry Case! 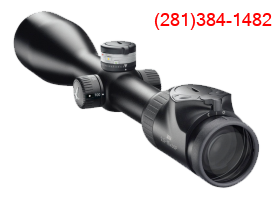 The price quoted is for a complete package (minus the scope) including 30mm Scope Rings and Compact Carry Case ready to go. Please call if you want other caliber(s). Features: 3 Position Safety. Mauser Action. Magazine. The M 12 bolt action rifle sets new standards. Precision, beauty, safety and reliability are attributes that all hunters associate with the brand Mauser. These requirements have been consequently implemented in the development of the full steel and High-grade wood stock of the M 12. The result is a handy bolt action rifle with top features, which can meet any hunting challenge: 24 inches barrel keeps this 300 Winchester Magnum compact to carry. 2 lb. direct trigger for crisp accurate response. Smooth and quiet 3-position safety. Cocking indicator. This rifle ideally combines the Mauser core values trust, tradition and function while preserving the beautiful looks of a classical rifle. Its practical use has been proven successfully in the field as you can see below. 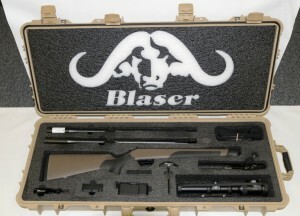 Available in other calibers, please call or email for more information! Features: 3 Position Safety. Synthetic Stock. Mauser Action. The M 12 Extreme bolt action rifle sets new standards. Precision, safety and reliability are attributes that all hunters associate with the brand Mauser. In 2013, these requirements have been consequently implemented in the development of the full steel and High-quality synthetic stock of the M 12 Extreme. The result is a handy bolt action rifle with top features, which can meet any hunting challenge: 22 inches barrel keeps this 300 Winchester rifle compact to carry. 2 lb. direct trigger for crisp accurate response. Smooth and quiet 3-position safety. Cocking indicator. This rifle features one of the most comfortable and rugged synthetic stocks in the market! The newly developed rifle ideally combines the Mauser core values trust, tradition and function. Its practical use has already been proven successfully in the field. Available in other calibers, please call or email for more information! The M 12 Extreme bolt action rifle sets new standards. Precision, safety and reliability are attributes that all hunters associate with the brand Mauser. In 2013, these requirements have been consequently implemented in the development of the full steel and High-quality synthetic stock of the M 12 Extreme. The result is a handy bolt action rifle with top features, which can meet any hunting challenge: 22 inches barrel keeps this 30-06 compact to carry. 2 lb. direct trigger for crisp accurate response. Smooth and quiet 3-position safety. Cocking indicator. This rifle features one of the most comfortable and rugged synthetic stocks in the market!